Comedy, tragedy, scandal, and social issues collide in this sensational collection of Mexican film posters from the late 1950s to early 1990s, a dynamic and volatile period in Mexican cinema. Culling more than 150 of the most colorful and sometimes unbelievable posters of the eraa riot of monsters; wrestlers; smugglers; cops; criminals; and mujeres, mujeres, mujeresauthor Rogelio Agrasnchez Jr. also contributes an illuminating bilingual essay discussing the posters' creation, the role of cinema in Mexican popular culture, and the ups and downs of its film industry. Equally engaging as a stand-alone volume or as a complement to the author's Cine Mexicano, this entertaining new collectionwill delight fans of international cinema. 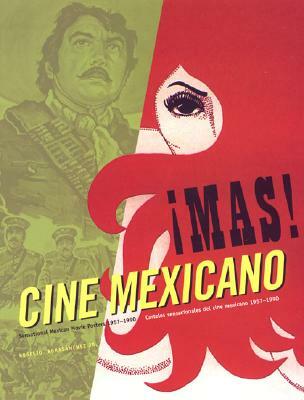 Rogelio Agrasánchez Jr. is the author of Cine Mexicano: Posters from the Golden Age 1936-1956. He lives in Harlingen, Texas.